I have a few thoughts to rap up my first NBUS Challenge, but already your eyeballs have drifted down the screen and your finger is twitching on the mouse, so I'll save them for after! Applause, applause, applesauce, applause, applause!! Congratulations to all the winners! Some of you may not even be aware that I added five more $25 gift certificates after the entries reached 100. So here are the TEN winners chosen by Mr. Random and Mrs. Dot Org! If the Orgs weren't in charge, I'd have prizes for all of you who entered!! First, to 11-year-old Alli who was the youngest participant using her loving Aunt Carole's blog, This Small Corner of Texas! It's wonderful to see a young person engaging in the ancient art of card making! Thank you so very much to everyone who participated with your beautiful works of art!! I've made a Pinterest Board for NBUS #1 so it's easy for all of us to refer back to the gallery for inspiration. It goes without saying that the response was overwhelming and heartwarming and heartfilling! Mwah, mwah, mwah all over your smiling cute little faces!! Winners, enjoy!! Please email me at darnell dot knauss at gmail dot com, to let me know your choice of the company where you would like to shop your $25 gift certificate! Yippie!! So. Okay. I got about a third of the way through the entries and visiting your blogs to thank you for kindly joining in and it hit me that this challenge might be one of the stoopidest things I've ever done. Gasp!! WHAT? What do you mean? Well, I mean, think about it. Why did I coin NBUS and start purposely numbering and using the acronym when blogging my cards? Answer: Because I realized that I was buying lots of new schtuff after seeing other blogger's cards and then I was putting it away (too much to leave on the desk, oink!) and then forgetting about it. By challenging myself publicly, I started looking at and using my NBUS. So, that's all good, I was making progress, but what's happened since I commented on 281 challenge entries and focused on the wonderful NBUS products you were using? It turns out that now I've bought loads more NBUS, thanks to you guys! Mt. NBUS is so high that the newest NBUS is covered in SNOW (not an acronym) and I've had to hire a miniature sherpa to help Hammy help me! Not to worry, you've all convinced me that you love the idea of this challenge, so I will do another one when I reach 600 followers, if not before. I think I will need to take a few days off from blogging pretty soon, however, so I can make mole hills out of that mountain and keep the NBUS from overtaking the BUS! Yup. At my age I now have a SABLE of NBUS! But I love it, so what can I do? And I love finding out that I'm not alone with this tissue. Thank you for making me feel "normal!" I would also like to thank you for following my lead and taking an extra minute or two when you are surfing the waters of card blogs to leave the artist a meaningful comment. I see a lot more of that happening and it makes me very happy! There are many serious or super busy bloggers who just want to post their work or who just want to make cards to inspire us to buy product and for them it's not about visiting and commenting. And that's fine. We don't judge. But there are even more bloggers who want to post their project and maybe market a product AND have you follow them and make friends. It's wonderful to see you taking that first step and then watch as it is resiprocated around the globule! Finally, I also want to pacifically thank my many new followers who have recently joined! I will continue with my New Friends Corner introductions, five at a time, when I resume normal posting. I haven't forgotten you! Congratulations to all the lucky winners and on your successful first challenge, Darnell! Lots of hugs to you friend! Hi, Darnell! I was unable to participate this go round due to extra special family stuff going on. But, I want to say congrats to the winners and I will be watching for the next NBUS challenge. I don't have a mountain, but I do have quite a few unloved (so far) items that I should start using NOW!! Your blog is so much fun to visit and I am going to try to follow your lead in respect to comments and the acknowledgment of new followers. I have made some wonderful friends in blogland!! Congrats to all the NBUS winners! This is a great blog with a good old sense of humor, and I just love that. As soon as I get my typing hand back to working, I do hope to visit may more of you. Thanks for the great inspiration! Congrats to all of the winners!! Darnell, thank you for taking the time and making the pintrest board (which I've already followed) so I can go back later and review everyone's entries as more inspiration for me. Also, thanks for the encouraging emails you've sent me the last few days as well. Can't wait for the next challenge. Huge congratulations to all the winners of your fabulous challenge. Congratulations to all the lucky winners! I am quite impressed with ALL the cards, but have to say that Alli, at 11, is a very creative young girl! I have really enjoyed reading a bit of detail about your new followers. What better way for us to connect with new like-minded people. Oh, love the new acronym (SABLE)! Congratulations to everyone, and I'm beyond thrilled to see my name among the winner's list too! WTG on having such a phenomenal first challenge Darnell! I hope to be able to join the next SABLE challenge whenever it's posted, and can't wait to hear the acronym for each one following the next! Yes, Congratulations to the winners! And to you Darnell, for your first very successful challenge. 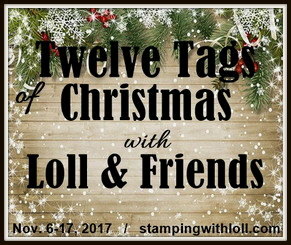 It was so much fun to see everyone's entries, and I had fun visiting the other bloggers who entered the challenge. Made some new blogging friends because of you Darnell. You touch so many people! Carol L. (who led me to your blog) said in her comment that you need a well deserved rest after this. I'm sure it was a lot of work for you. I am also excited to be a winner!!!!! I could hardly believe that I won. I never win anything! Thank you so much Darnell! Congratulations to all the lucky winners of your very generous and kind hearted challenge. I hope it's not long before you get to 600 followers so we can have another one - it's so much fun coming to visit your blog and having the chance to meet new blogging friends. Wow!! What a fabulous challenge ..... Congratulations hun! and congratulations to all the winners too. It's been so much fun seeing everyone's entries, you've done a grand job!! I also mentioned to hubby that you were only 9 hours from Vegas ... if only we had time to make the trip. Maybe next time. Thank YOU Darnell! What a wonderful way to bring crafters together. You are a joy to follow dear lady. Huge congratulations to Colleen, Petra, Jull, Alanna, Di, Susan B, Hettiecraft, Marybeth, KandA, CarolL, and especially to Ali and Mamie Reese - hope you all enjoy your winnings. Congrats to all the winners! And a big thank you Darnell for running the challenge. Already looking forward to the next one! Thank you Darnell for such a fabulous challenge, for all your inspiration, for giving friendship to so many and for being you! Thanks for running the challenge, Darnell, it was fun. I knew I wouldn't win, my card was not my best work, but with my schedule lately I was glad just to be able to submit an entry at all. Special congratulations to Alli, and a very lovely card it is too, for anyone, especially a crafter so young. Gosh, I hope my stash is not SABLE. What a waste that would be. Well, I guess in my will I will leave it to the children's hospital or some other charity, if it comes to it. Congratulations to all the lucky winners and to you Darnell on the acquisition of more sable. Perhaps we should arrange to swap some stuff once we've used it but on second thoughts that would not help with our mountains! Congratulations to the winners! And congratulations to everyone who participated and actually got to crack open some NBUS and finally use it! I will admit though, that scrolling through the gallery has turned me on to all sorts of new things that I want to buy - so you're not alone atop your snow capped NBUS mountain! Congratulations to all the winners! Everyone did such a great job and I loved looking at the cards. It's nice that we can see them on Pinterest. A big thank you to Darnell for hosting this fun challenge. She spreads so much fun and joy every time she posts. A huge hug for you!! I'm so happy your challenge was such a HUGE success, but then again I knew it would be!! I thought NBUS was genius but SABLE....I think it strikes a cord with ALL of us!!!!! Great first NBUS challenge Darnell! Congrats to all the winners! It is nice to know that we are not the only ones who buy buy buy and then don't use use use!! ... a fab lot of work and chuckled so much at your Mt NBUS sherpa an all..
Darnell this has been such a fun challenge. I've made some new bloggy friends because of it. I'm thrilled that I was selected as one of the winners. You are too generous. And I love the picture of your new Mt. NBUS. Thanks for always putting a smile on my face after I come to visit you. CONGRATULATIONS to all the winners on the First NBUS challenge! Hi Darn Nell! Cherokee does not understand why people say Darn Nell. Maybe you tell me later. Cherokee likes Darn Nell place on Computer. Thank Darn Nell for JD/Jill getting to go shopping. JD/Jill funny name too. She just look at me funny when I ask her about name. Irish just shake head. Not ask again. Cherokee not loco weed eater. May great Spirit watch over Darn Nell. Congrats to all the winners and you are such a sweetie to be providing extra prizes! I have a ton of NBUS....I must play along!!!! DoubleClick Skittles Design Team Call! your posts are always fun to read. yes, i don't always get to come here and read but i do love you, you know. so sorry i forgot to play in your NBUS challenge. summers find me outside a LOT..we get so little of it. ~I am playing use up my stash of stamps and use every single one, kind of like Susan R suggested. oh goodness, do i really own so many...I have a long way to go and am on stamp #261 now. Thank you for all you do for us stampin' peeps!! There's a whole whack of us out here in blog land that love you to pieces because you are THE most amazing, kindest, funniest, cleverest, generous, sweetest person ever! And also really cool cuz you have a rodent living in your head! Huge congrats on the success of this awesome challenge idea! HUGS, cheers to your success!!! Love this post! I LOVE commenting and finding friends and making lifelong crafting buddies!! SO thanks for cheering this on! It is great!!! Congratulations to all the winners!, and Darnell, you are an amazing writer, I always have a chuckle or two right at the jump-start of the post and it continues...you make reading so much fun! You certainly need a few days off after the huge success of your challenge. It was a lot of fun and I loved wandering around all the different blogs being overcome with such amazing designs. So take some time, enjoy some of your new NBUS and I look forward to your next beautiful project. What a fantastic response to your first challenge ~ Congrats! Love the new "sable." Lovely cards. All deserving of a prize. Hope you have a good week ahead. Darnell, what a fantastic response, not only the competition but responses after the competition. You are very luved and its easy to see why. Your a woman I would love to meet, I think we would enjoy a real laugh. Who knows maybe one day I'll visit you from down under. Dont work too hard on the SABLE. First; So super to read your post again! Second: Congrats to all winners! Third; What a great joy to see so many different styles and so many posts with the NBUS going through blogland! Got totally inspired to use my stash (and buy more, but that's NOT the topic :) ) Thanks Darnell and hugs! ...and I'm now looking for a stable to house it all in LOL! Woot woot! Well done on such a successful and friendly challenge Darnell. MANY CONGRATULATIONS to all the winners. Darnell, you are a gem! Your NBUS challenge is awesome and I love the new acronym...SABLE is hilarious! A big huge congrats to all of the winners! I cannot believe my name is up there with the winners - thank you so very much and ccongrats to the other lucky winners too. At the beginning of the year my resolution was to use schtuff at least once before putting it in the cupboard, but after a couple of months all my good intentions disappeared under the mountain of NBUS. Your challenge made me feel guilty and got me motivated to dig some out and join in. You also got us visiting new blogs and meeting new and talented people - and also making our wish lists grow longer!! Hi Darnell, I so enjoyed reading your post and want to congratulate all the winners. Have a wonderful week. SABLE. Yep, that describes my craft stuff, too! I've been browsing the NBUS #1 Pinterest board - what amazing creations! Have a successful and productive time turning your mountain into molehills! Congrats to all the winners on the first NBUS challenge. Congrats to you Darnell on such a successful challenge! Thanks to you for all the fun and entertainment that you bring to your blog! Love to visit. Congrats to the winners & to You Darnell! Love this post! You are an inspiration! Well done to you Darnell for all these lovely peeps who have played along in your new and exciting challenge. Having a month to play is great as it takes the pressure off those of us who are still in the rat race. I have also enjoyed meeting extra peeps as a result so thanks. Also THANK YOU for picking me out for a prize. So wonderful to find out on a Monday morning. Congratulations to the winners and to you for helping us use our stuff (no matter how you spell it)! Well, I guess I missed this challenge while I was away from my blog for a few weeks. It really sounds as if everyone had fun. Congrats to the winners and your successful challenge. But we're all fixed now and I just had to say how totally delighted I am that your NBUS challenge went so, so well. Everyone had lots of fun and golly gosh how fabulous to be chosen by Mr and Mrs Random as a winner :) Did you hear the squeals of delight!? Thank you so so much Darnell - but mostly thank you for your wonderful blog - always a joy to visit you. I can't believe you went out and bought more NBUS! Well, yes I can! I'd do the same thing...and I do! Thank you for inspiring us in so many ways. You are wonderful! congratulations to all of the winners and thank you for such a brilliant challenge. You're an absolute STAR, Darnell, for hosting your own challenge - and look how popular it was. And look how popular you (and Hammy) are! It's always a pleasure to visit you. Mwah! From Inkyfingers1: Congrats to all the winners! I will look forward to seeing the next challenge. Looks like there is another Theresa AND another Inkyfingers that follows so know my blog has the number 1 after the inkyfingers,(inkyfingers1) just incase you wanted to know:) It has been a pleasure seeing all the entries and visiting this blog. Will be back to peek in more later. Congratulations to YOU and all the winners, what a fun and successful challenge, I can't wait for the next one, thanks for doing this Darnell! What a successful challenge Darnell, I saw NBUS all over the place. I am so sorry I am so behind in my comments. DH is now back to work and I should better. I love the way you introduce your new followers and wish I would have done it long ago. I hang my head in shame for not doing it on my own. I am almost embarrassed to win. Thank you. You were so kind to keep adding. Congratulations! Hugs. Congrats to all of the winners!! Also thank you for creating a pinterest gallery! Darnell, Thank You so much for caring and creating this new challenge for all of us. You are a cherished gal for sure. Love your posts and appreciate all that you do! Looking forward to another NBUS challenge in the future :) Take care. 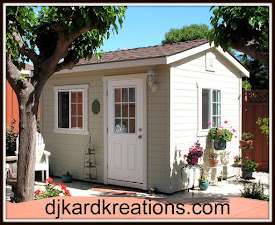 Thanks for a super-fun challenge and for the chance to meet and make new bloggy friends!!! Wow! Congratulations to all who were winners and my goodness, you were so very generous too! And, I had to laugh about your mountain as I am staring at my mountain too. It just seems I keep piling more and more on and can't seem to quit. I have good intentions but that is about as far as it goes. Just purchased a bunch more things and I just know it will be a long, long time before I get to play with them. You have a great week and take care. And, thanks so much for all the fun! Congrats to all the winners and I enjoyed looking at all the cards that were submitted. I missed the deadline...next time. What a great challenge! I have so much NEBUS around here I can't find the old stuff! I was out of town but believe me when you do it again, I am going to join in. Congrats to the winners! What a wonderful success Darnell, I was only sad that I didn't have a chance to join in (maybe next time) I'm sure I can find a stamp around here somewhere that's never seen ink before lol. Well done, you are one amazing lady and well done to the lucky winners too! Hi, Darnell. I'm really happy for you and for the success you had with your really fun and creative new challenge. Make a second and a third NBUS, SABLE or whatever name you might give it, even without any prizes, and I'll join in every single one :). Love to read your thoughts and great sense of humor. You LIFT (Laugh In Full Time) my days. Thank you! Thank YOU for doing this! Good luck on conquering Mt. NBUS! hi Darnell, Congrats on your challenge -- All those entries just speak to the amazing you work you do -- both in cards and in words! I love your how your nubs begets nubs -- I am glad that I am not alone -- it was my intention (thanks to you and Susan R) not to buy "more" until I used my new stuff -- but the pile of new stuff is growing out of control! I need to put a lock on my wallet!!! Keep up the good work -- as long as it is FUN! If you spread Mt. Nubus into various rooms, it's not as noticeable. My DH did that with all his baseball cards and I've found it works well with my stuff too. Funny how we create our own monsters! You did have a wonderful response. Congratulations to all the winners. Great challenge Darnell and one that serves a purpose. I wasn't able to finish my card so I might just set it aside and do so with the next challenge. Challenges are a lot of work, and you really rocked it with almost 300 entries on your first time out. Well done. Thank you too for the Special mention for Alli's card. She was so excited when I called her last night. Darnell...congrats to all the winners! This was so much fun to be part of so thank you so much for taking the time. Made me pull out my NBUS too, so much fun and made my stamps happy to be inked too. Congrats to you again for so many fabulous followers, I am so blessed to count you as one of my friends. Congrats to you on the success of your first challenge...and to all those lucky winners! I had so much fun playing along, using my stash that might have otherwise gotten dusty, and visiting as many card makers as possible! I'm also very grateful for your generosity, Darnell! How sweet you are to offer all those prizes, and to visit ALL of your participants...Bless you, my friend...you are the BEST!!! Enjoy your break (if you ever really take one), and I look forward to seeing your newest creations...Hugs! Thanks for your laugh-out-loud comments. I must confess I have at least two SABLEs (love that acronym) but your promotions keep me plugging away in using some of this stuff - when I'm not moving everything around trying to find room for the new, that is. Oops, nope. Love the SABLE of NBUS. Sounds like something right out of The DaVinci Code! Congrats to a sucessful 1st NBUS challenge!! I LOVE this brainchild of you because agter 6 years of scrappin and buying new stuff all the time I NEED this challenge lol! And thanks for all your sweet comments about new grandbaby! I'm home now and even though Destiny (DD) only lived on hour on a half away I criend all the way home lol! Iys all good I will see Kinley on Friday if I don't melt 1st...110 here yesterday! Yikes! Darnell, if you are not normal then I'm not either! I have SABLE NBUS too! Oh, Darnell, I've just seen that I am one of the lucky winners!!!!!! Oh WOW, that's wonderful!!! Thank you, thank you and thank you again for running this challenge - it was such great fun to take part!!! I'll email you shortly. Dah-link! So long for me to visit! Love the post. 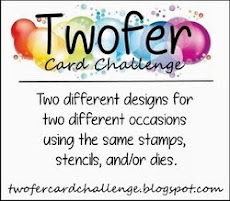 There were so many great cards posted to your challenge. It is a good thing you left the orgs in charge. I know I would hate to be faced with a decision like picking winners! And yes, blog hopping is horrible if one if trying to not acquire more but wonderful if you are looking to be inspired. It's a love-hate thing. Embrace it! Congrats to all those lucky winners and congrats to you Darnell for having such a smashing success with your first challenge! I am very much looking forward for you to reach 600 - it won't be long! 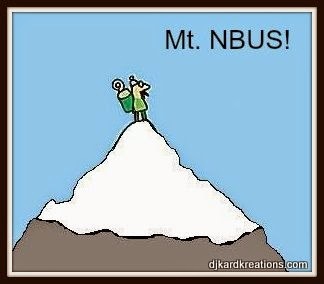 I too have mountains of NBUS schtuff and I want to put it to good use.... ;) As usual I enjoyed reading your blog post! Congrats everyone and also to you Darnell for the organisation. SABLE lol I love it! Hope that today is the start of a super new year of your live with much happy and creative moments! 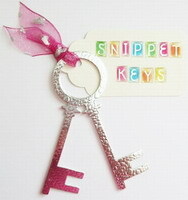 Thanks for all the lovely comments but most of all your super blogpost that make me LOL! Congrats to the winners. Thanks for a wonderful challenge. I can see through your posts that you are a person full of happiness and friendship. Happy Birthday, Darnell! Have a blast! Have a super duper terrific day! Congratulations on the success of your challenge. I didn't have time to enter this time but will make time for your next one. Hear its your birthday too so many happy returns and enjoy your day. I am definitely in a SABLE situation. I thought it was obligatory for crafters lol! Ang x. . . . . . .SABLE and proud! Happy Birthday to you, Darnell! Hope you have a WONDERfilled day! My apologies that I didn't know about your blog land b-day party, or I would have posted it for you today! Your card is 'in the mail', so I sure hope you get it on time! Also, I hope you have a really, really FUN day with the Mister, and your beautiful family...you deserve everything to be perfect on your special day! Sending lots and lots of (((HUGS))) to you!!! And a huge BIG Happy birthday to you today, Miz Darnell. I finally saw the little spot on your sidebar (DUH! I'm slow). I am hoping to get back here and congratulate some more of your winners that I 'know'. In the meantime, chill & enjoy your day. Hugs & Love. SABLE? Hilarious! I should post that over my scrap closet door! Laura Bassen said on her blog today that she liked your sense of humor, and since I love hers, I thought I'd pop by and say hello. Just added your blog to my reader. A huge happy birthday Darnell I see you are a fellow Cancerian. Wishing you a wonderful day with family and friends . Sorry I have missed so much of your wonderful works of art and congratulations on the success of NBUS. You are are a breath of fresh air to us all just wish I had the time and mojo to join in. Hopefully soon I will be back on track as I truly have missed your fabulous posts and gorgeous art. Love, love your blog and wry sense of humor , makes me smile every time! So happy to be one of your followers! I'm positive you've heard this before, but here goes. You're an absolute HOOT! I've rarely been this entertained reading a blog. Despite laughing out loud so hard that tears rolled down my face, I followed your post all the way to the end. Honestly, I am not known for that. But I now know that I'll need time and a beverage to thoroughly absorb all your wonderful bloginess. Thanks so very much for making my day. Had to come by and say Happy Birthday Darnell! I hope you are having a lovely day!!! And may your year be full of blessings! Happy Birthday to a great lady! Hope its the best one ever! What a great challenge you created. I see my BFF won a gift Card. Lucky Colleen. Anyway, I am here to wish you Happy Birthday dear blog friend. I'm sorry I just found out this morning that it was your birthday and was not able to make you a card. I have my 4 grandchildren on Wednesdays in the summer and we were headed to the lake. Hope you had an extra special day. Congratulations to all the winners!!! And congratulations to you sweet Darnell, for a VERY successful challenge!! Happy Birthday, Darnell. I didn't get a card made but sending good wishes your way. Just under the wire but wanted to wish you a Happy Birthday!!! Hi Darnell. Just catching up as usual. Congratulations on such a fabulous challenge and Congratulations to your winners. Hope you've managed to make some mole hills into the mountains of NBUS and SABLE! Congrats to all winners and thank you for the fun challenge! I so wanted to make a second entry (I had chosen the stamps for it already!) but non-card making life came on the way (including a puppy!!). I look forward to the second challenge. Have a wonderful weekend! Whew gasp pant wheeze let me sit moment.....okay ..now that I'm at the end of the long line of complimentors...wow! what a turn out for your first NBUS challenge! Huge congrats to all the winners! Mwah to you, Darnell! Gahhh...I'm 3 weeks - THREE - behind in commenting, my friend! Hectic-ness is all to blame, from family visits, to bike races at home, to traveling to Bend where my husband just finished racing yesterday, to DT duties (hokey smokes, I didn't realize how involved they are...fun to the max, but 'responsibility' required too *grin*). Anyway, your NBUS challenge was stellar! I'll just echo what the others have said: you are awesome in every way, and we LOVE x LOVE you!